This is the time of year that should cause us to reset our thankful meter. Thankfulness is a mindset we should have all year round, but often in the business of life we forget to stop and think about all the blessings that we enjoy on a regular basis. Every day, not just Thanksgiving, we should enter God’s presence with gratefulness praising Him for all He has done. So if your thankful meter has become sluggish consider what Psalm 100 has to say. 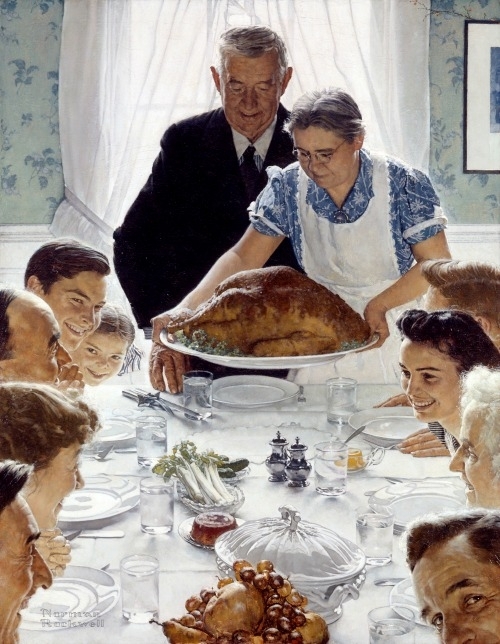 How should we give thanks? Often we tend to think of anything to do with God as very solemn and quiet – like a monastery where you are afraid to make noise or disturb the silence. Though quietness is often helpful in bringing grateful thoughts to our minds when we discover them, it is OK to shout with joy. God loves to hear our voices and wants us to share loudly what He has done with others. Another way to show our thanks is to serve Him with gladness. Don’t you just want to do things for someone whom you love? After considering all that God has given, it is natural to want to give back by way of service. This kind of motivation is not done begrudgingly or out of duty. It is a sheer joy! Among the many reasons to give thanks, Psalm 100 gives three important ones. First, we should remember that our Lord is God. He is the powerful creator of all the universe. He has complete charge of all the workings of nature as well as being sovereign over everything that takes place in all the earth below and the heavens above. Second, we must remember that this great God has made us. We are not self-made as our culture would like to boast. All the abilities and faculties that are ours to enjoy have been given to us as gifts of our Creator. Thirdly, because He is our Creator, we belong to Him. He has the right to do with us what He wants. We are His people and the sheep of His pasture. He is good. Acknowledging that we belong to a powerful God could be a scary thought. But with our God there is nothing to fear because He is good. He showers us with good food, homes, families, friends, and material blessings that are beyond what we deserve. Even in times of difficulty, when friends disappoint, health declines, or bank accounts dwindle, our good God promises to provide all that we need. He will work ALL things together for the good of those who belong to Him. Our God is characterized by lovingkindness. His love and loyalty to His children are everlasting and do not depend on how lovable we are. As a good Father He works to mature us and patiently corrects and teaches. We never need to fear that He will abandon us. His mercy and kindness follow us wherever we go. God is consistently faithful. He is completely reliable and will always come through for us. We do not need to fear that He will change His mind because what He says He will do. He has always kept His promises in the past and will continue to do so throughout all generations. Think about these things this week as you get ready to celebrate Thanksgiving Day. You belong to a great God who is good, loving, and faithful. Reset your thankful meter today and loudly SHOUT praise to the Lord, not only on Thursday, but all year round.